1st printing. 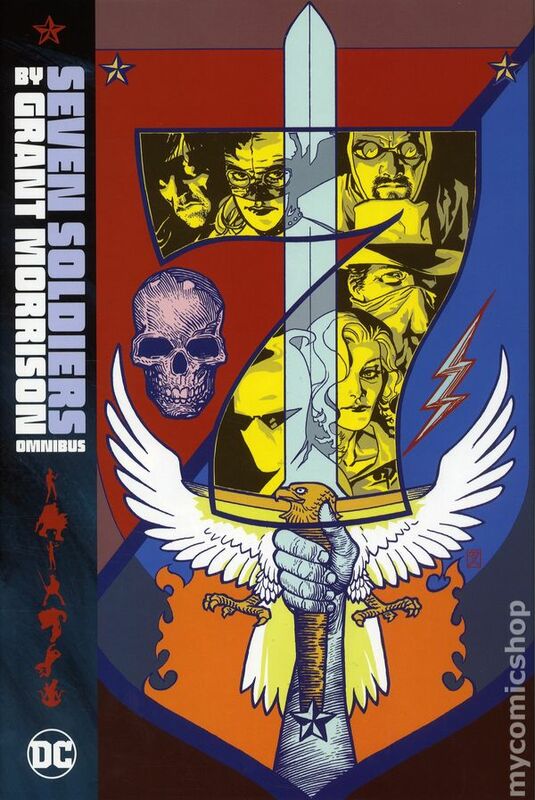 Collects Seven Soldiers (2005) #0-1, Seven Soldiers of Victory: The Shining Knight (2005) #1-4, The Guardian (2005) #1-4, Zatanna (2005) #1-4, Klarion the Witch Boy (2005) #1-4, Mister Miracle (2005) #1-4, The Bulleteer (2005) #1-4 and Frankenstein (2005) #1-4. Written by Grant Morrison. Art by J.H. Williams III, Ryan Sook, Cameron Stewart, Irving Frazier , Simon Bianchi, and Mike Gray. Cover by Ryan Sook. 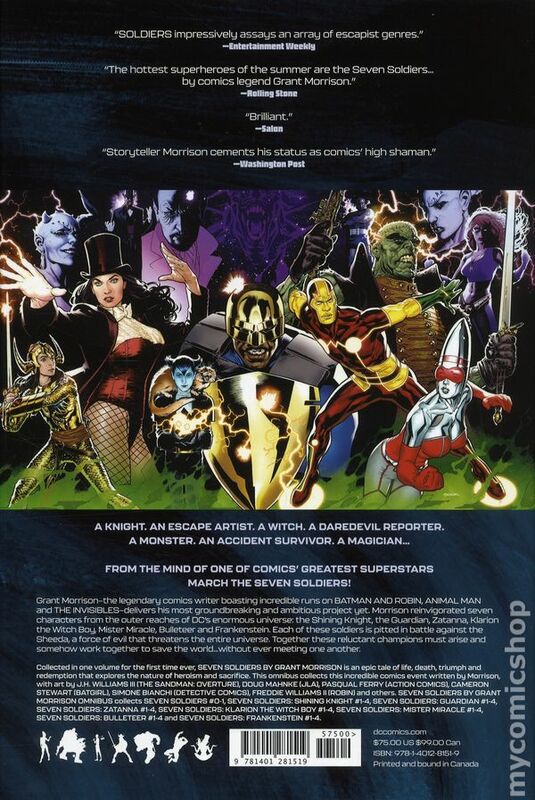 Grant Morrison's epic tale starring the Shining Knight, the Guardian, Zatanna, Bulleteer, Frankenstein, Mister Miracle and Klarion the Witch-Boy is collected in one massive volume for the first time! These reluctant champions must work together to save the world from the insidious threat of the invading Sheeda warriors! Hardcover, 792 pages, full color. Cover price $75.00.